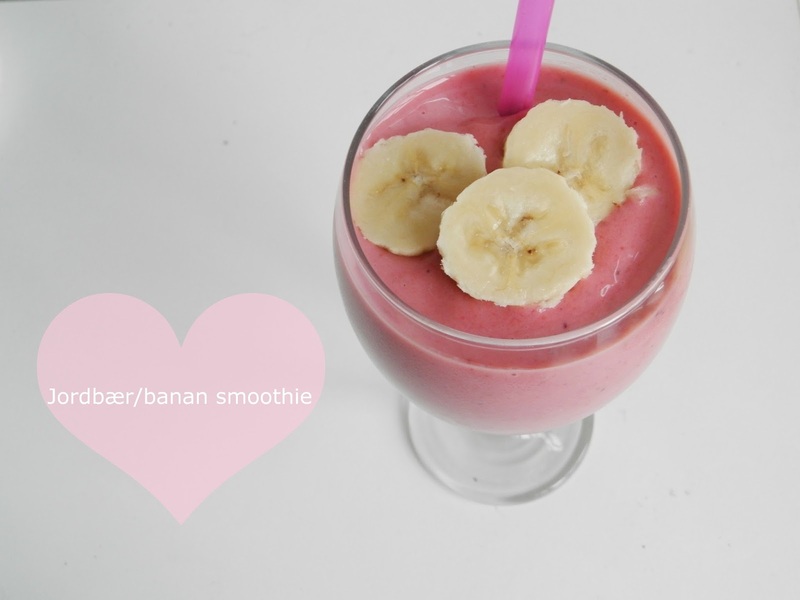 Hey beauties, it's smoothie time. 1 banan, nogle frosne jordbær, nogle frosne blåbær. Tak for kommentaren på min blog! You have a really great, and inspiring blog!! Aw', thank you so much, that mean a lot!